Ensuring a safe and dependable ride every time is the goal in the elevator industry. Elevator encoders allow precise vertical lift and speed measurement control, which is imperative to ensure passenger and mechanical safety within US and Canadian ASME A17.1, and CAN/CSA B44 manufacturing compliance standards. 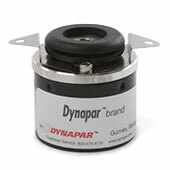 Dynapar encoders provide reliability and accuracy in determining the position and speed of travel of the elevator while also communicating that feedback information to a computer that controls and adjusts the elevator’s motor speed. 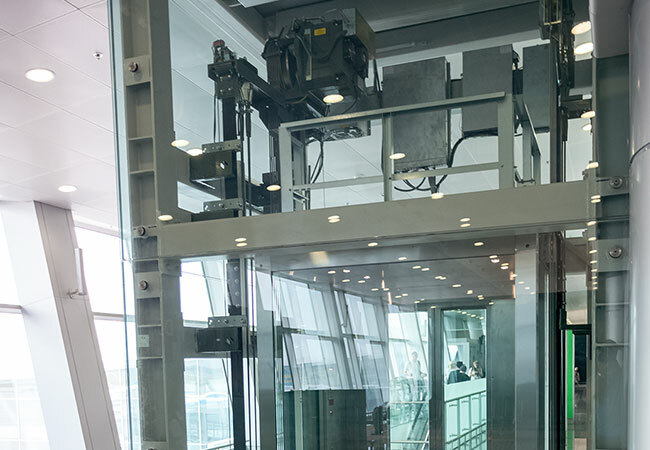 Elevator encoders are a critical component in the elevator control system allowing the elevator to stop level with the floor, open the doors and close them completely, and provide a smooth and comfortable ride for the passengers. There are two primary classes of electric elevator: the geared traction motor elevator and the gearless traction motor elevator. Geared traction motor elevators are driven by vector motors coupled to gearboxes. The gearing, in turn, drives the traction wheels or sheaves, which are grooved pulleys that move the cables that raise and lower the car. 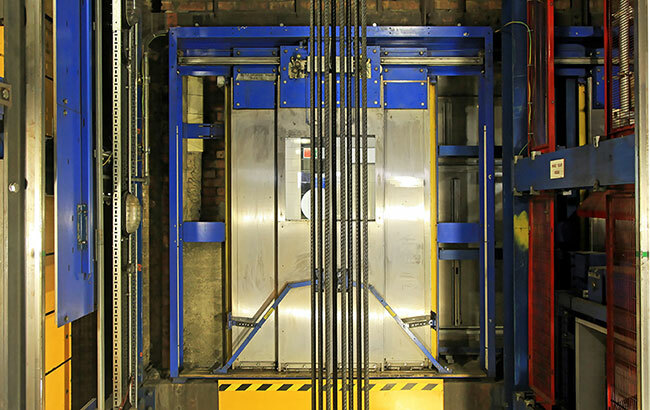 Although geared traction motor elevators are reliable, the bulky equipment must be housed in a machine room. That adds cost and occupies space. Gearless traction motor elevators take a different approach. Instead of a vector motor/gearbox combination, they use permanent-magnet DC motors coupled directly to the load. The motors tend to be larger in diameter but narrower. This pancake form factor enables them to be placed either above the elevator in the hoistway, eliminating the need for a machine room. Gearless traction motor elevators use motor encoders to monitor speed and position, as well as to commutate the motor. Although absolute encoders are often used for commutation, incremental elevator encoders exist targeted specifically for elevator applications. If the incremental encoder is being used to commutate, it must have separate U,V, and W channels on the code disc that enable the drive to control the U, V, and W channels of a brushless motor. Speed feedback is used to close the loop on the motion of the car. 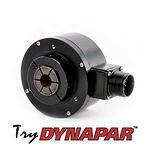 The encoder is typically a hollow-bore encoder mounted on the stub end of the motor shaft (the non-drive end). Because this is a speed application and not a positioning application, an incremental encoder can provide effective performance at a lower cost for elevator speed control. The key factor to consider in choice of encoder is signal quality. The signal of an incremental encoder needs to consist of well-behaved square-wave pulses with 50-50 duty cycles, particularly if either edge detection or interpolation are used. The elevator environment involves a large amount of high-power cables that generate high inductive loads. To minimize noise, follow encoder wiring best practices such as separating signal wires from power wires and using twisted-pair shielded cabling. Proper installation is also important. The stub end of the motor shaft where the encoder is mounted should have minimal runout (ideally less than 0.001 in, although 0.003 in will do). Excess runout can unevenly load the bearing, causing wear and potentially premature failure. It can also alter the linearity of the output, although this would not significantly impact performance unless the runout were well above the magnitude discussed. Encoders also provide feedback to monitor the automatic doors in the elevator car. The doors are operated by a mechanism driven by a small AC or DC motor, typically mounted on top of the car. 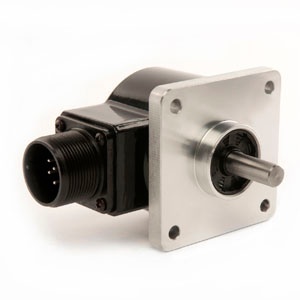 The encoder monitors the motors to ensure that the doors fully open and close. These encoders need to be hollow-bore designs and compact enough to fit the allotted space. Because the door movement can be slow at the extremes of opening and closing, these feedback devices also need to be high resolution. Follower-wheel encoders can be used to ensure that the car arrives at the designated location on each floor. Follower-wheel encoders are distance-measuring assemblies that consist of an encoder measuring wheelwith an encoder mounted to the hub. They are typically mounted on either the top or the bottom of the car with the wheel pressed against a structural member of the hoistway. When the car moves, the wheel turns and its motion is monitored by the encoder. The controller converts the output to position or distance of travel. Follower-wheel encoders are mechanical assemblies, which makes them potential sources of error. They are sensitive to misalignment. The wheel must be pressed strongly enough against the surface to ensure that it rolls, which requires a preload. At the same time, excess preload puts stress on the bearing, which can lead to wear and potentially premature failure. Encoders play a key role in another aspect of elevator operation: preventing the car from going over speed. This involves a separate assembly from the motor feedback known as an elevator governor. The governor wire runs over the sheaves then connects to a safety-trip mechanism. The elevator governor system requires encoder feedback to enable the controller to detect when the car speed exceeds threshold and trip the safety mechanism. High direct read resolutions can be a requirement in an elevator application. The HA725 can read up to 10,000 PPR which make it an ideal fit for any elevator motor control applications. Maximizing equipment uptime and increasing the reliability of your elevator are what the HS35R provides. The HS35R is has a high 400g shock rating, and larger bearings which enhances the life of your encoder. The E14 Hubshaft is a compact incremental encoder that is an easy to install. Ideal for door operation and door motor control applications, the E14 is available in 100 to 2,540 PPR options.